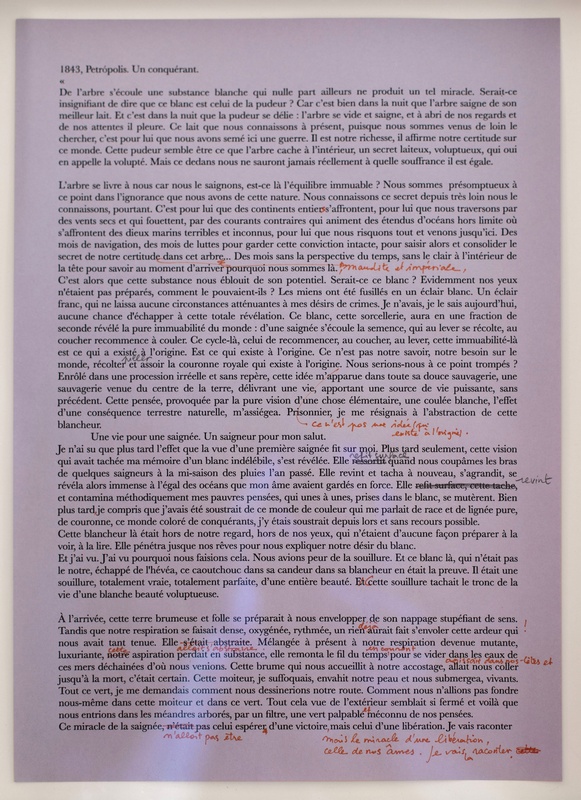 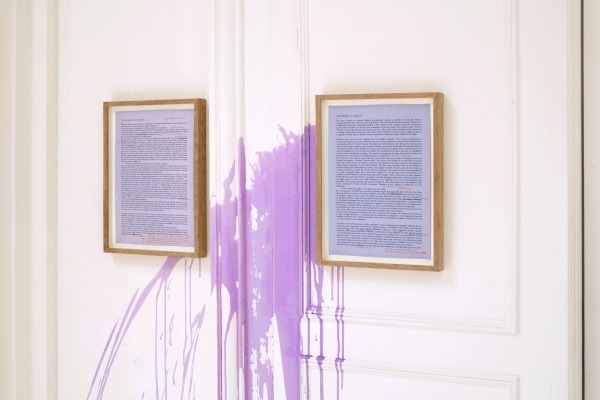 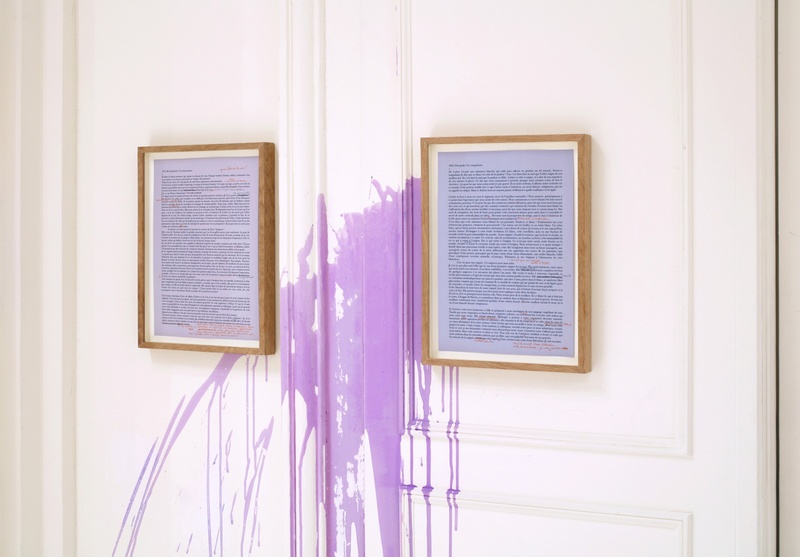 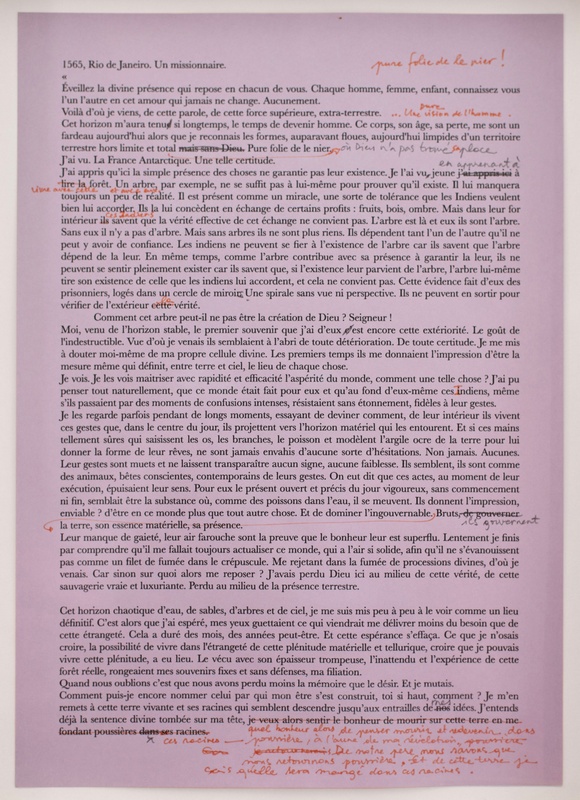 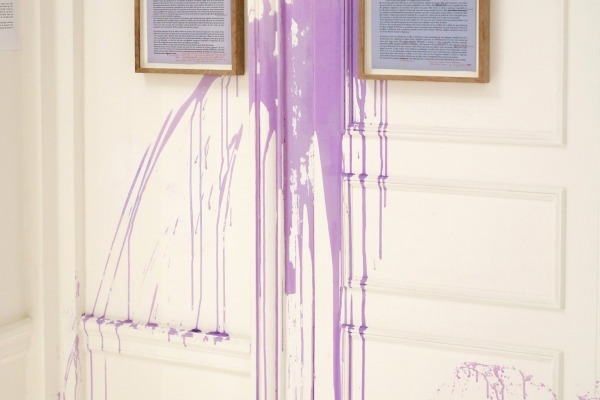 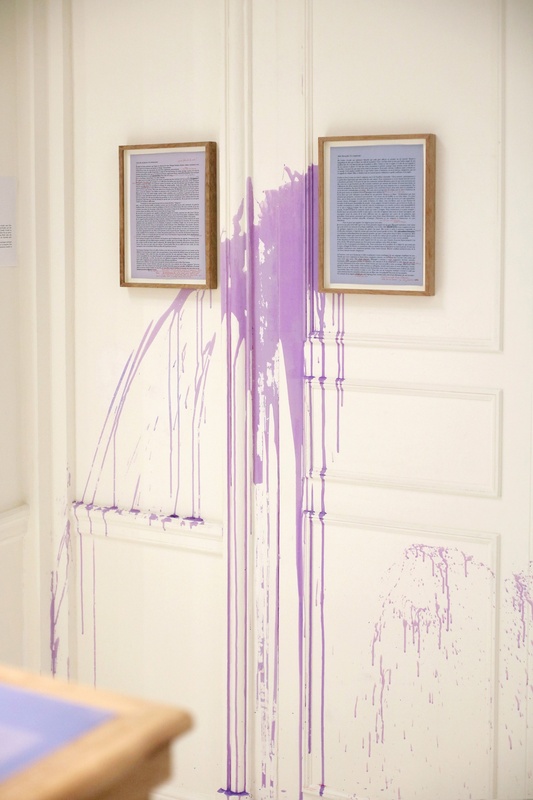 Thu Van Tran’s uniquely sensitive work is informed by both historic events, particularly those related to postcolonial history, and literary and fictional experiences. 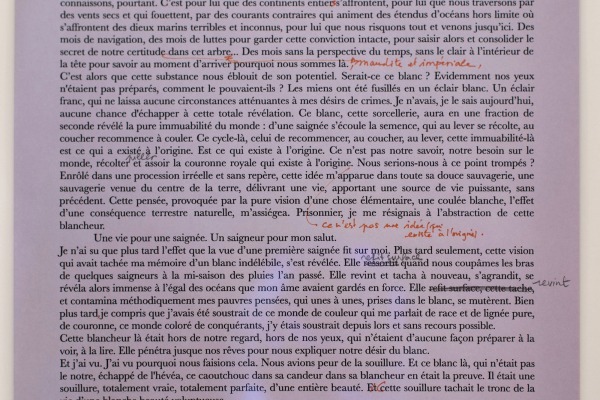 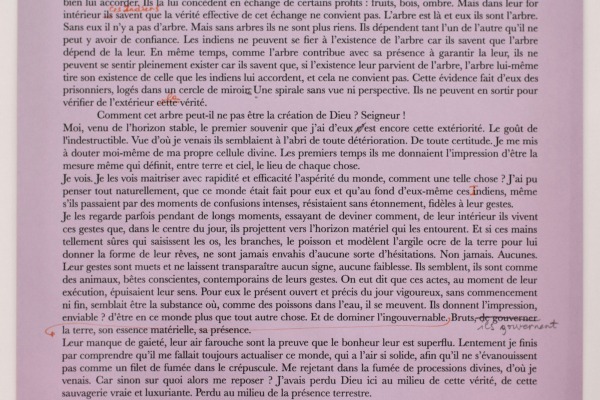 Fernando Pessoa, Joseph Conrad, and Marguerite Duras are some of those who regularly collaborate on her work. 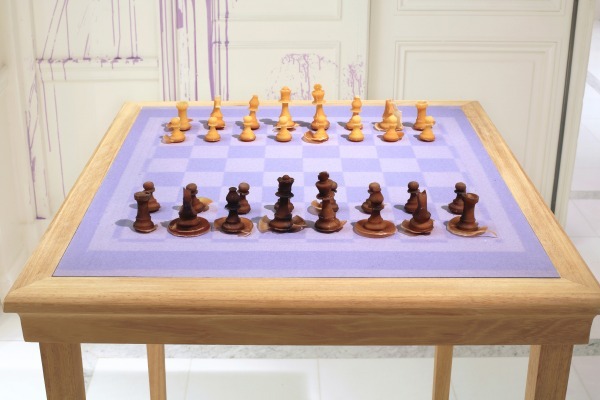 Here she offers us a look at a future project, to be created in Brazil, in a colonial residence in Petrópolis, the town where Stefan Zweig ended his life after writing his final work, Chess Story. 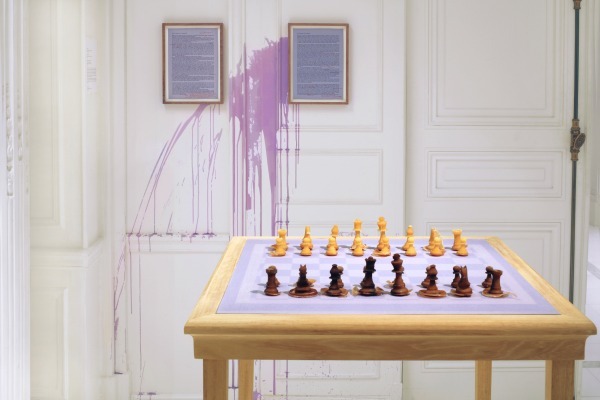 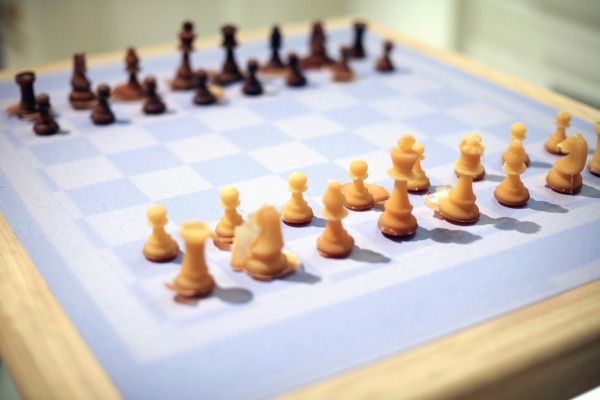 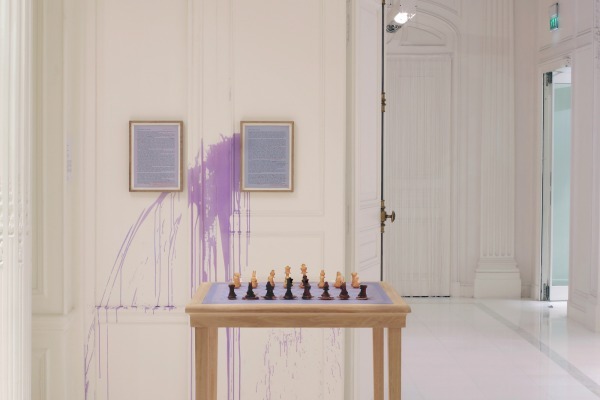 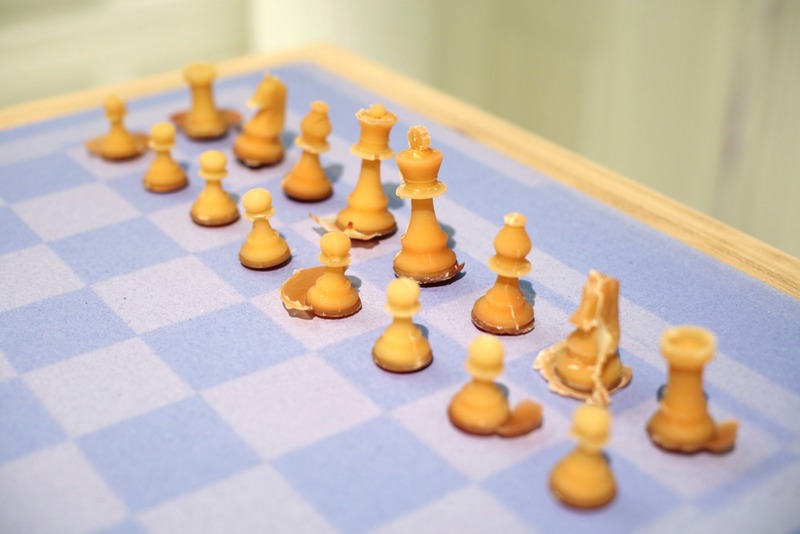 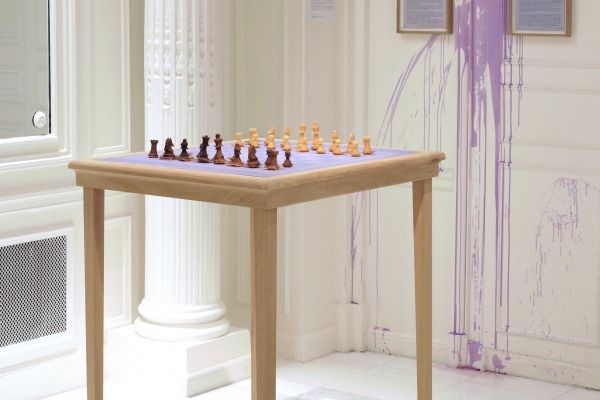 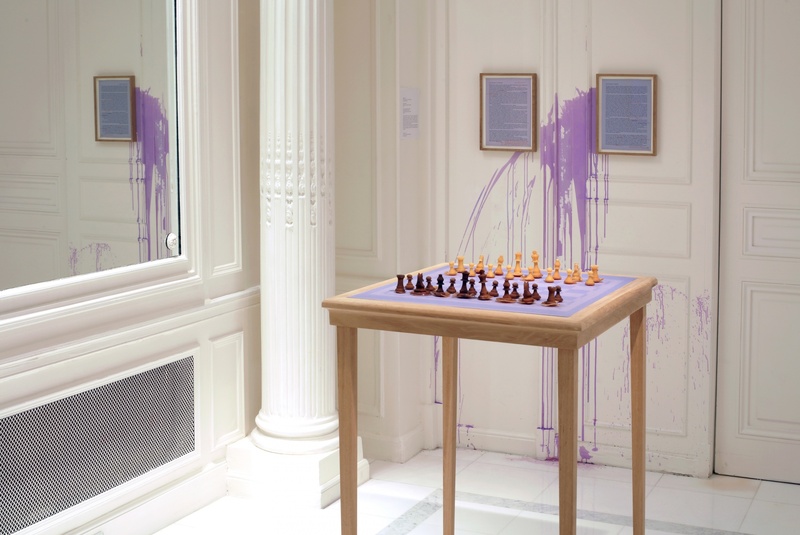 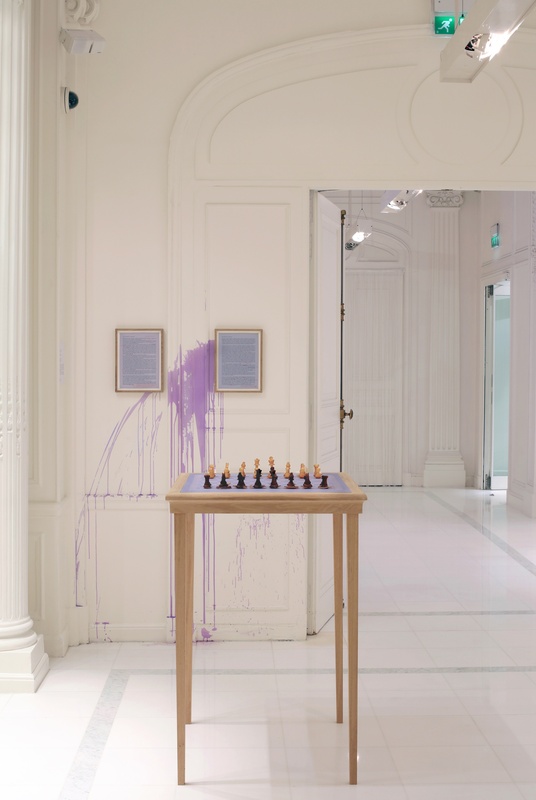 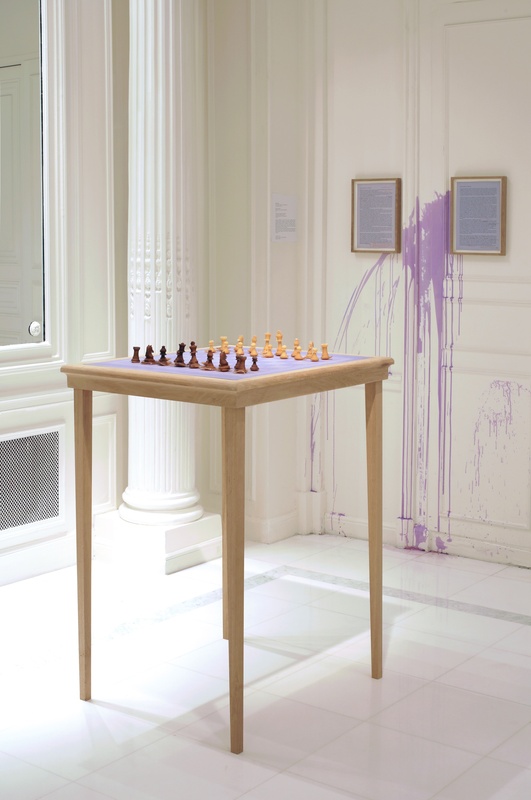 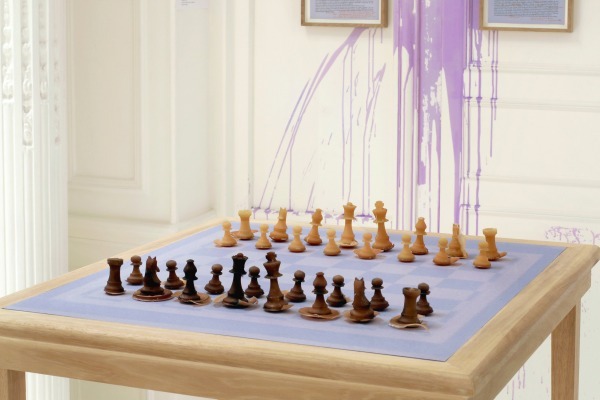 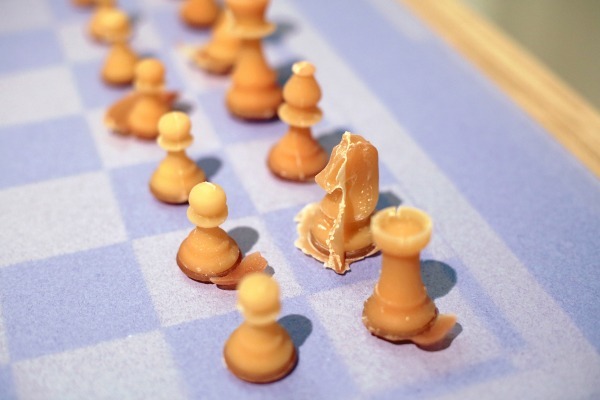 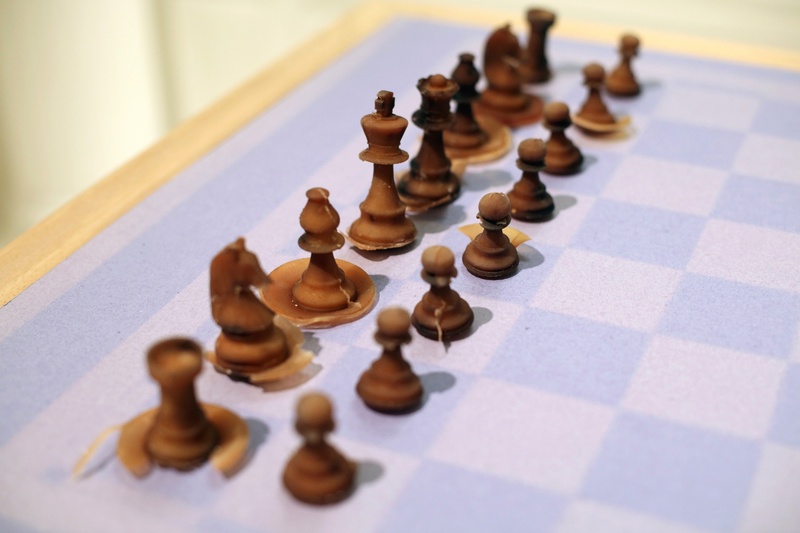 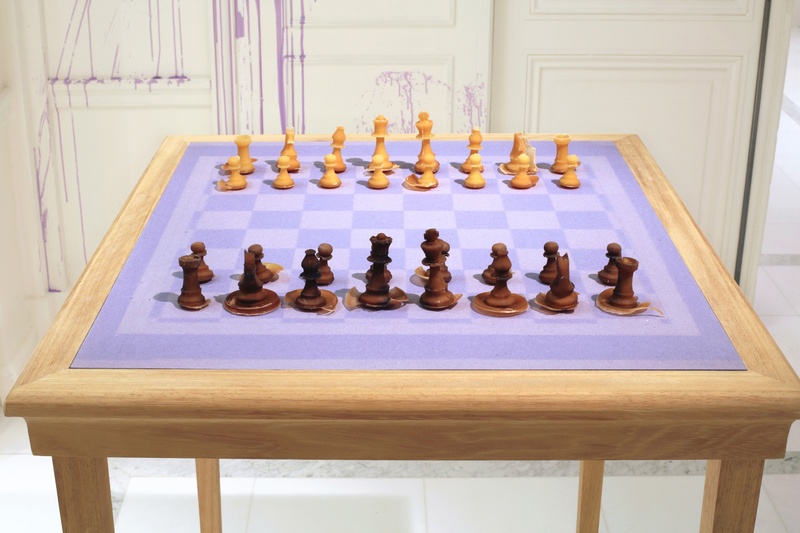 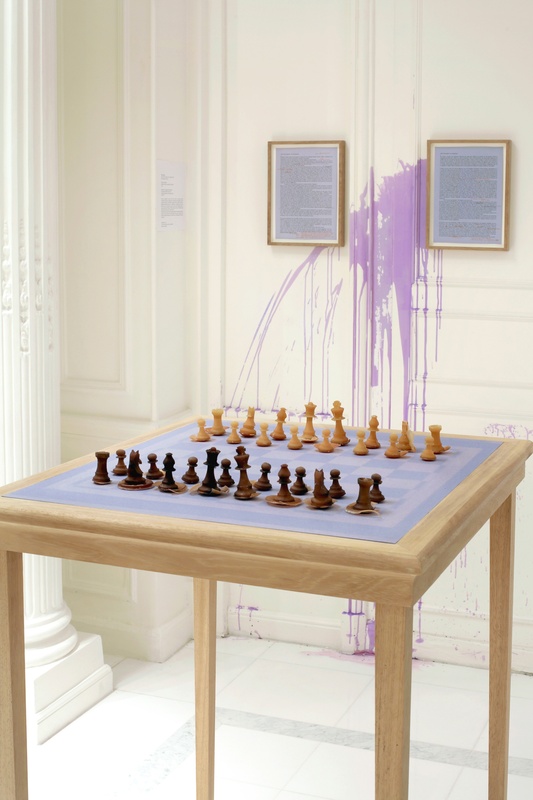 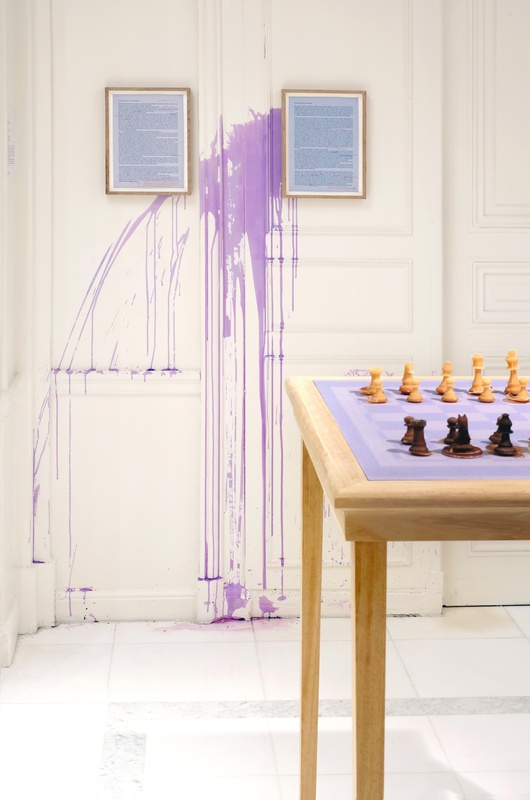 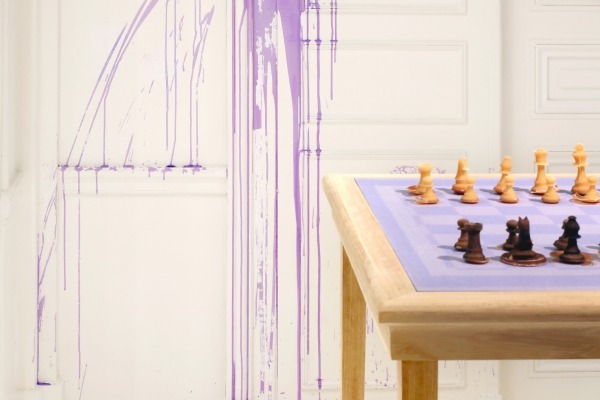 For this exhibition, she has chosen to show the first two pages of the interior monologues she wrote for each of the chess players and a model of a life-size chessboard that will be surrounded by a contaminated rubber wall.